In recent years, a good harvest has become increasingly unreliable, as the impacts of climate change, such as erratic rainfall and the proliferation of pests and disease, have begun to challenge the native maize varieties. Rural poor and smallholder farmers, like Martinez and her family, are among the hardest hit by the mounting impacts of climate change, according to the Food and Agriculture Organization of the United Nations. These farmers and their ancestors have thousands of years of experience selecting and breeding maize to meet their environment. 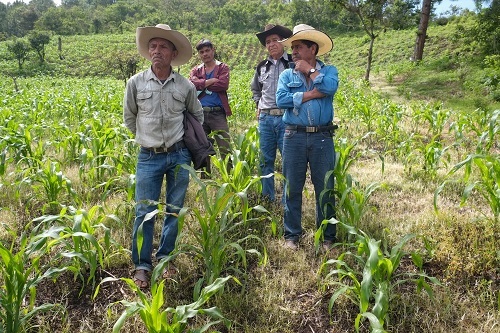 However, climate change is at times outpacing their selection methods, said CIMMYT landrace improvement coordinator Martha Willcox, who works with the community and coordinates the participatory breeding project in Oaxaca. Through the initiative, the indigenous communities work together with professional maize breeders to continuously improve and conserve their native maize, she added. This is because a community’s native maize varieties are adapted to their specific microclimate, such as elevation and weather patterns, and therefore may perform better or be more resistant to local pests and diseases than other maize varieties. 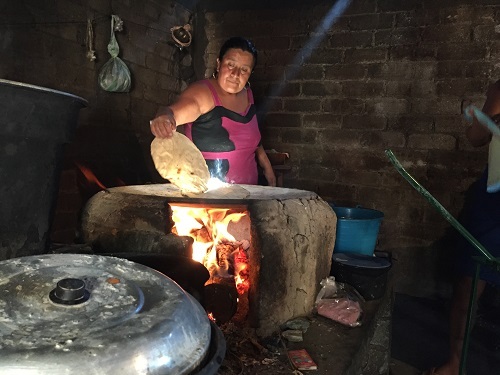 They may also have specific characteristics prized for local culinary traditions—for example, in Santiago Yaitepec the native maize varieties have a specific type of starch that allows for the creation of extra-large tortillas and tostadas that are in high demand in local markets. Other varieties may not meet farmers’ specific needs or climate, and many families do not want to give up their cultural attachment to native maize, said Flavio Aragon, a genetic resources researcher at the Mexican National Institute for Forestry, Agriculture and Livestock Research (INIFAP) who collaborates with Willcox in the participatory breeding project. 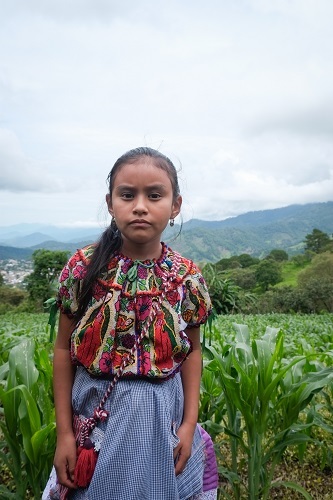 CIMMYT and INIFAP launched the four-year participatory plant breeding project to understand marginalized communities’ unique make up and needs – including maize type, local climates, farming practices, diseases and cultural needs – and include farmers in breeding maize to suit these needs. “Our aim is to get the most out of the unique traits in the native maize found in the farmer’s fields. To preserve and use it to build resistance and strength without losing the authenticity,” said Aragon. Suarez said he appreciates the help, “We are learning how to improve our maize and identify diseases. I hope more farmers in the community join in and grow with us,” he said. Changes in weather patterns due to climate change are making it hard for farmers to know when to plant their crops to avoid serious disease. Now, a fungal disease known as tar spot complex, or TSC, is increasingly taking hold of maize crops, destroying harvests and threatening local food security, said Willcox. TSC resistance is one key trait farmers want to include in the participatory breeding. Named for the black spots that cover infected plants, TSC causes leaves to die prematurely, weakening the plant and preventing the ears from developing fully, cutting yields by up to 50 percent or more in extreme cases. Caused by a combination of three fungal infections, the disease occurs most often in cool and humid areas across southern Mexico, Central America and into South America. The disease is beginning to spread, possibly due to climate change, evolving pathogens and introduction of susceptible maize varieties. A traditional breeding method for indigenous farmers is to see what works in fields of neighboring farmers and test it in their own, Willcox said. Taking the search to the next level, Willcox turned to the CIMMYT Maize Germplasm Bank, which holds over 7000 native maize seed types collected from indigenous farmers. She tested nearly a thousand accessions in search of TSC resistance. A tedious task that saw her rate the different varieties on how they handled the disease in the field. However, the effort paid off with her team discovering two varieties that stood up to the disease. One variety, Oaxaca 280, originated from just a few hours north from where the Suarez family lives. After testing Oaxaca 280 in their fields the farmers were impressed with the results and are now beginning to include the variety in their breeding. “The goal is to make it as close as it can be to what the farmer currently has and to conserve the characteristics valued by farmers while improving specific problems that the farmers request help with, so that it is still similar to their native varieties and they accept it,” Aragon said. 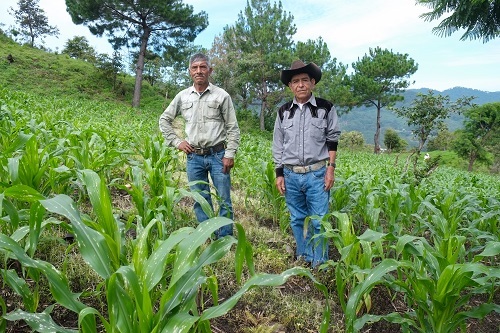 Willcox and colleagues throughout Mexico seek to expand the participatory breeding project nationwide in a bid to preserve maize biodiversity and support rural communities. “If you take away their native maize you take away a huge portion of the culture that holds these communities together,” said Willcox. Participatory breeding in marginalized communities preserves maize diversity and builds rural opportunities in areas that a hotbeds for migration to the United States. “A lack of opportunities leads to migration out of Mexico to find work in other places, a strong agricultural sector means strong rural opportunities,” she said. 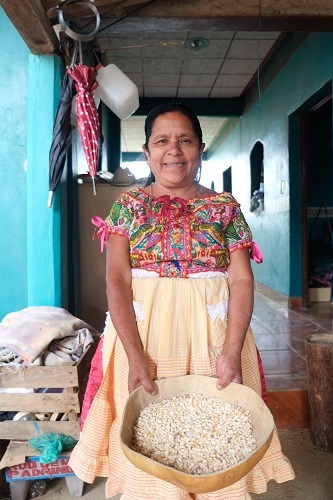 To further economic opportunities in these communities, these researchers have been connecting farmers with restaurant owners in Mexico City and the United States to export surplus grain and support livelihoods. A taste for high-quality Mexican food has created a small but growing market for the native maize varieties. Native maize varieties show remarkable diversity and climate resilience that grow in a range from arid to humid environments, said Willcox. The genetic traits found in this diversity are the building blocks that can be used to develop varieties suitable for the changing crop environments predicted for 2050. It is key to analyze the genetic variability of native maize, and support the family farmers who conserve it in their fields, she added. This biodiversity still sown and selected throughout diverse microclimates of Mexico holds the traits we need to protect our food supplies. To watch a video on CIMMYT’s work in this community, please click here. This work is supported in part by the CGIAR Research Program on Maize (MAIZE).